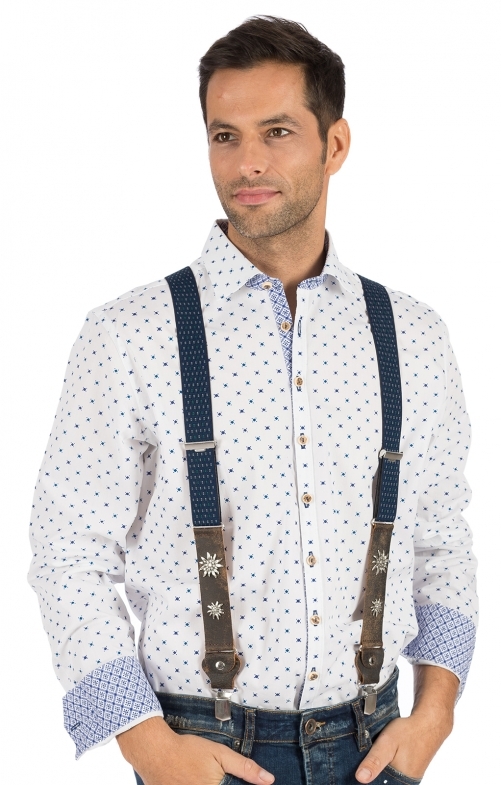 Blue patterned traditional braces. Our traditional men's braces Vintage in blue are the perfect complement to battered leather and fashionable jeans. The V-shaped model is attached to the waistband with three metal clips. In the front area there is rustic leather with edelweiss flowers of metal. This is followed by blue patterned linen. This area also contains the sliding buckles for the length adjustment.